Now that you’ve got the most lethal software for getting free traffic through comments, why not unlock the next biggest traffic source and get better rankings for your videos. What we’ve got on this page are two of the most successful and most powerful YouTube ranking software – Tuberank Jeet and Traffic Jeet. They’ve helped thousands of marketers rank better and achieve more success on YouTube. 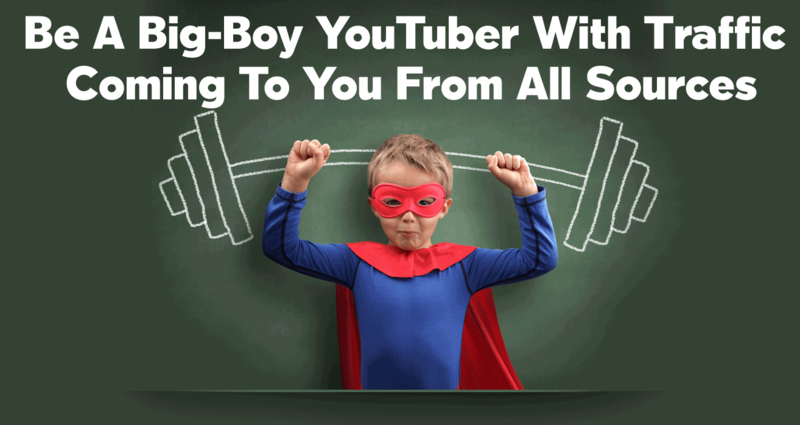 Add yourself to their ranks and make YouTube your new top traffic source. Find powerful keywords that are not already fully exploited and can drive thousands of visitors to you. Find out who is your top competition on those keywords and what they are doing to drive traffic. Optimize your headlines, descriptions and keywords to get maximum rankings and appear on #1 for the keywords you target. Keep track of your video rankings and find out how you move up the ranks against your competition. Grab keywords used by your competition and automatically infiltrate their rankings. Get perfect optimization done in minutes not hours. Face it, you’re going to have to optimize your videos. You’re going to select keywords and you’re going to have trouble doing all that because TubeTraffic won’t do it for you. It’ll only drive traffic. So why not get these software that you absolutely need! 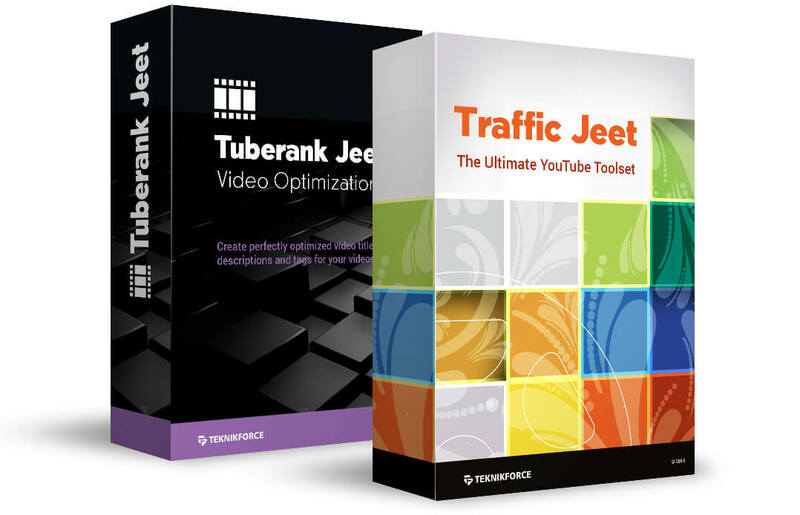 Tuberank Jeet is the best & the most popular YouTube video optimization tool created. Have an X-ray view of which are the top tags that your competitors are using. Write a video description and immediately learn if it’s properly optimized. Spend minutes not hours in optimizing a video. Uncover keywords that are easy to rank for and start generating traffic easily. Rank more videos than you’ve ever done in the past. Create winner YouTube channels that will send you organic traffic and revenues year after year. Enter your keyword and select how many videos you want Tuberank Jeet to analyze. Understand immediately how tough your competition is and is it really worth pursuing the keyword you picked. Check the videos that appear in the results. You can even click on any video and load it up to see it play. This will tell you what you’re up against. Tuberank Jeet will show you a difficulty meter that will tell you how hard it is to rank for this keyword. See the total number of likes, dislikes views and comments in one glance. No more guessing! You’ll know if you should take up on the competition at all. Get the top keyword from the top ranking videos and grab them to get ranked on high traffic keywords. Get the long-tail video keywords and create sustainable long term traffic that comes to you month after month consistently. Optimize your headline, description and find out how well they’re written to get the top ranking. Get helpful suggestions that tell you exactly what you need to do to get ranked better for the keyword you’re targeting. We’re selling Tuberank Jeet ALONE for $47 at http://tuberankjeet.com. You’re getting 2x that deal here! Dominate search engines using Video. Spy on and track your competitor’s performance. See what they are doing and discovery how to defeat them. Find the empty spots on Google.com where no video is ranking so that you can grab it quickly. Discover who is ranking for specific keywords and what they are doing. Discover how a video is ranking for any keyword. Track video rankings for yourself and your competition. Research YouTube and know everything you need to know to target keywords that get you the best amount of traffic. If you’re going to do YouTube research for any market, absolutely any niche on YouTube to get more traffic, you’ll need Traffic Jeet. There’s nothing that can rival the depth or the breadth of the features that Traffic Jeet has for you. With market research features that it gives you, you’ll have everything you need to dominate your competition and make your YouTube channel the biggest traffic grabber around. Feed in any keyword and find other top keywords related to it. Find top videos for any niche, and see who’s dominating your keywords. Get important statistics and details about any video and find what is making it tick. Find out if a keyword has a video on the first page of Google or not. Grab traffic from Google by targeting keywords that don’t have a video on the first page of Google yet. Don’t miss grabbing TrafficJeet, it’s absolutely the best Video Marketing and research tool you can find for any price. 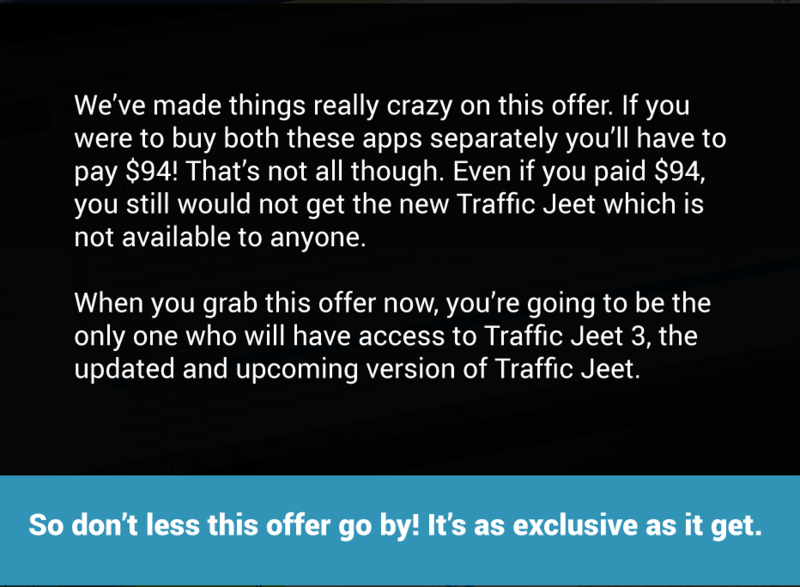 We are selling the older version of TrafficJeet at http://trafficjeet.com for $47. The new version is not available to anyone! Only YOU can get it here. Need more convincing? Get Tuberank Jeet + Traffic Jeet and try them absolutely free of any liability for a period of 30 days. 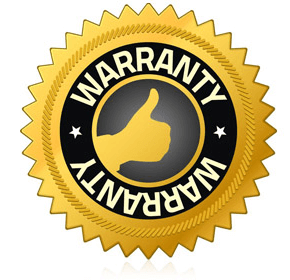 If you’re not absolutely delighted with what they can do, just tell us at http://teknikforce.com/support and we will give you a refund, no questions asked!